Streams of meteoroids striking the Moon infuse the thin lunar atmosphere with a short-lived water vapor, according to researchers using data from NASA’s LADEE spacecraft. The findings will help scientists understand the history of lunar water. A NASA spacecraft that will return a sample of a near-Earth asteroid named Bennu to Earth in 2023 made the first-ever close-up observations of particle plumes erupting from an asteroid’s surface. NASA is hosting a media teleconference at 1:30 p.m. EDT Tuesday, March 19, to announce new science from the agency’s first mission to return to Earth an asteroid sample that may contain unaltered material from the very beginning of our solar system. 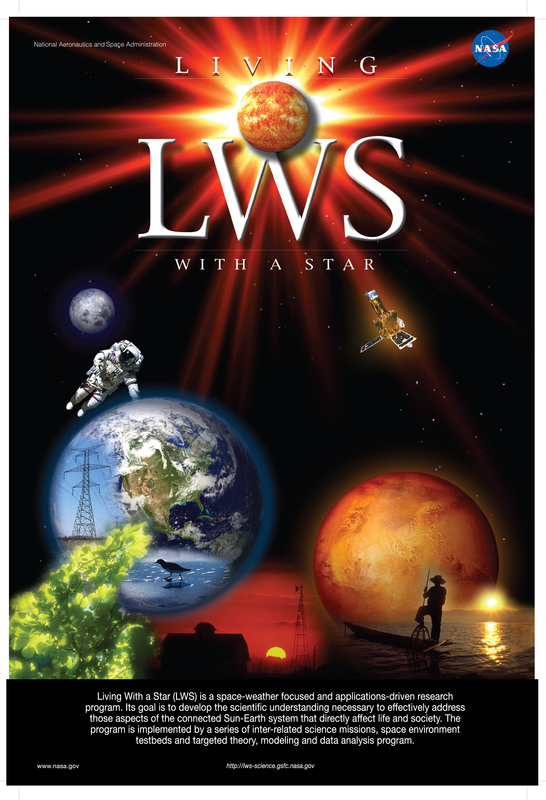 NASA's Goddard Space Flight Center in Greenbelt, Maryland invites media on Monday, March 11, to get an up-close look at Moon to Mars related work taking place at the center. 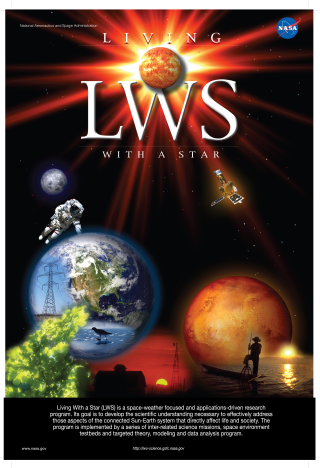 NASA invites you to take a behind-the-scenes look at how the agency explores Earth and outer space with a new monthly television series that premieres this week. New NASA research confirms that Saturn is losing its iconic rings at the maximum rate estimated from Voyager 1 & 2 observations made decades ago. The rings are being pulled into Saturn by gravity as a dusty rain of ice particles under the influence of Saturn’s magnetic field. Recently analyzed data from NASA’s Origins, Spectral Interpretation, Resource Identification, Security-Regolith Explorer (OSIRIS-REx) mission has revealed water locked inside the clays that make up its scientific target, the asteroid Bennu. 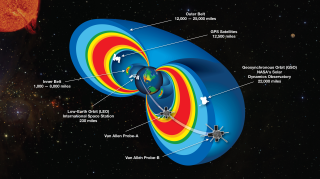 Since their discovery over 50 years ago, the Earth’s Van Allen radiation belts have been considered to consist of two distinct zones of trapped, highly energetic charged particles. 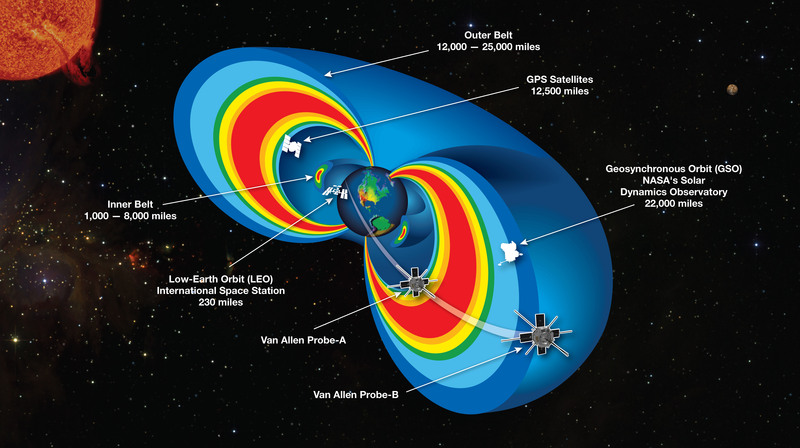 Observations from NASA’s Van Allen Probes reveal an isolated third ring in the outer radiation belt. 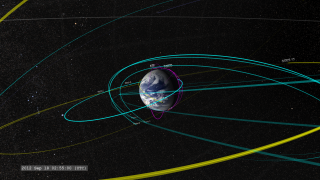 A cutaway model of the radiation belts with the 2 RBSP satellites flying through them. 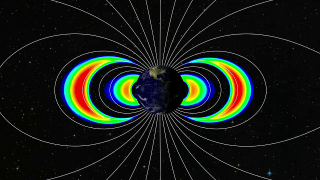 The radiation belts are two donut-shaped regions encircling Earth, where high-energy particles, mostly electrons and ions, are trapped by Earth’s magnetic field. 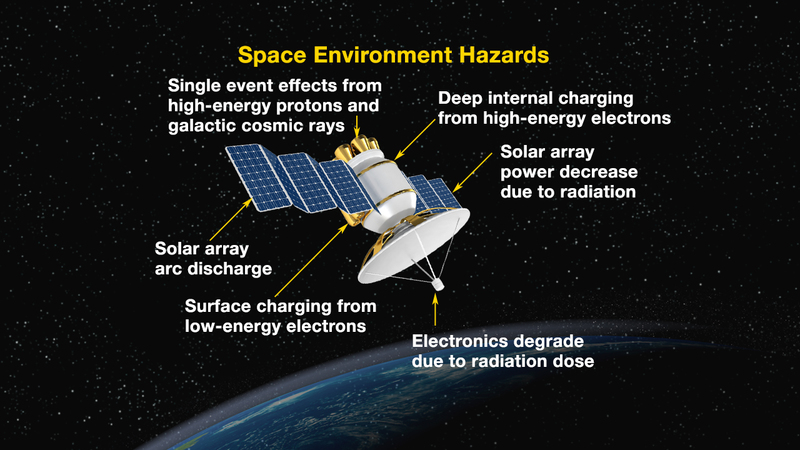 This radiation is a kind of “weather” in space, analogous to weather on Earth, and can affect the performance and reliability of our technologies, and pose a threat to astronauts and spacecraft. The inner belt extends from about 1000 to 8000 miles above Earth’s equator. The outer belt extends from about 12,000 to 25,000 miles. This graphic also shows other satellites near the region of trapped radiation. 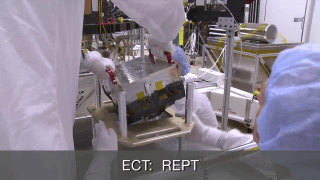 After most NASA science spacecraft launches, researchers wait patiently for months as instruments on board are turned on one at a time, slowly ramped up to full power, and tested to make sure they work at full capacity. 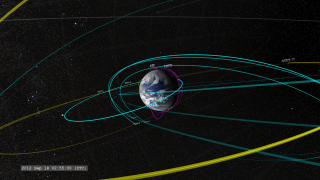 It’s a rite of passage for any new satellite in space, and such a schedule was in place for the Van Allen Probes when they launched on Aug. 30, 2012, to study two giant belts of radiation that surround Earth. But a group of scientists on the mission made a case for changing the plan. 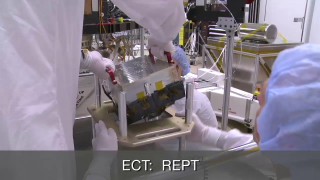 They asked that the Relativistic Electron Proton Telescope (REPT) be turned on early – just three days after launch — in order that its observations would overlap with another mission called SAMPEX (Solar, Anomalous, and Magnetospheric Particle Explorer), that was soon going to de-orbit and re-enter Earth’s atmosphere. It was a lucky decision. 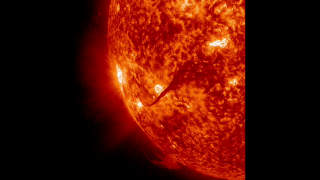 Shortly before REPT turned on, solar activity on the sun had sent energy toward Earth that caused the radiation belts to swell. 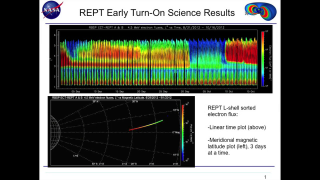 The REPT instrument worked well from the moment it was turned on Sep. 1. It made observations of these new particles trapped in the belts, recording their high energies, and the belts’ increased size. Then something happened no one had ever seen before: the particles settled into a new configuration, showing an extra, third belt extending out into space. 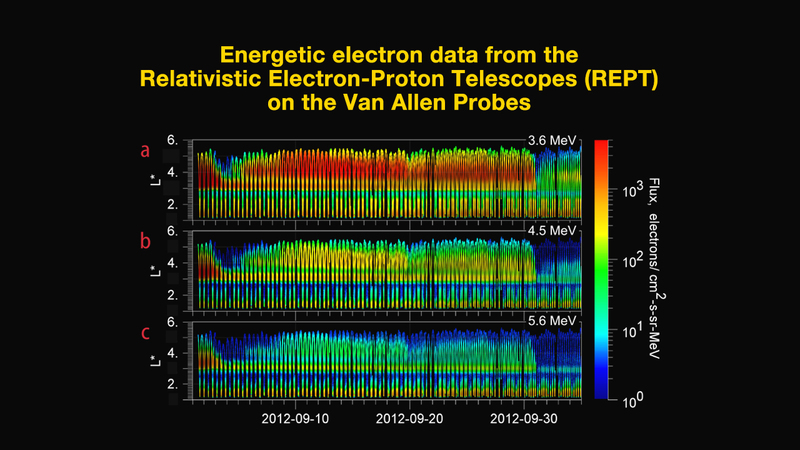 Within mere days of launch, the Van Allen Probes showed scientists something that would require rewriting textbooks. 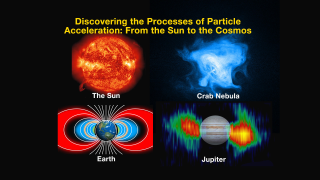 The scientists published their results in a paper in the journal Science on Feb. 28, 2013. 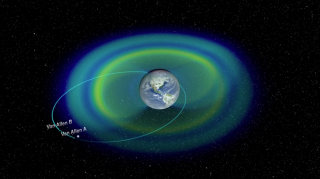 Incorporating this new configuration into their models of the radiation belts offers scientists new clues to what causes the changing shapes of the belts – a region that can sometimes swell dramatically in response to incoming energy from the sun, impacting satellites and spacecraft or pose potential threats to manned space flight. 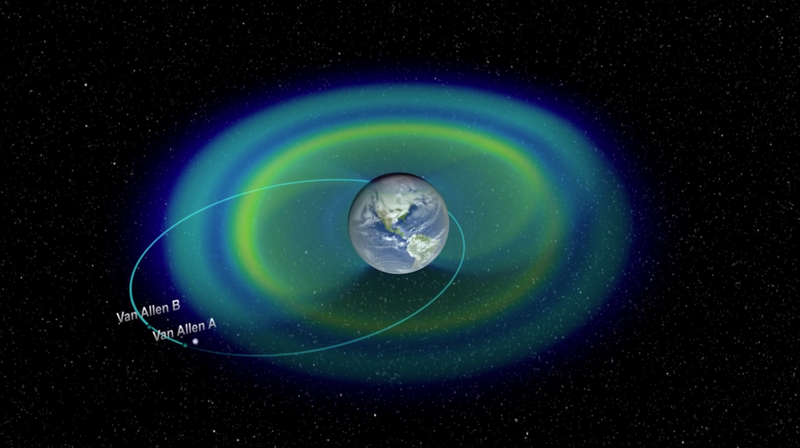 The radiation belts, or Van Allen belts, were discovered with the very first launches of satellites in 1958 by James Van Allen. 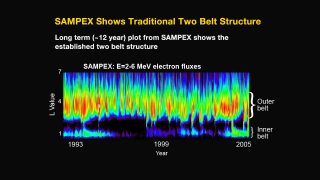 Subsequent missions have observed parts of the belts – including SAMPEX, which observed the belts from below – but what causes such dynamic variation in the belts has remained something of a mystery. Indeed, seemingly similar storms from the sun have at times caused completely different effects in the belts, or have sometimes led to no change at all. 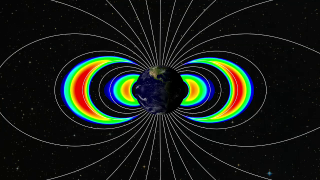 The Van Allen Probes consist of two identical spacecraft with a mission to map out this region with exquisite detail, cataloguing a wide range of energies and particles, and tracking the zoo of magnetic waves that pulse through the area, sometimes kicking particles up to such frenzied speeds that they escape the belts altogether. 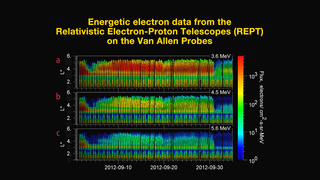 In its first six months in orbit, the instruments on the Van Allen Probes have worked exceptionally well and scientists are excited about a flood of observations coming in with unprecedented clarity. This is the first time scientists have been able to gather such a complete set of data about the belts, with the added bonus of watching from two separate spacecraft that can better show how events sweep across the area. Spotting something new in space such as the third radiation belt has more implications than the simple knowledge that a third belt is possible. In a region of space that remains so mysterious, any observations that link certain causes to certain effects adds another piece of information to the puzzle. 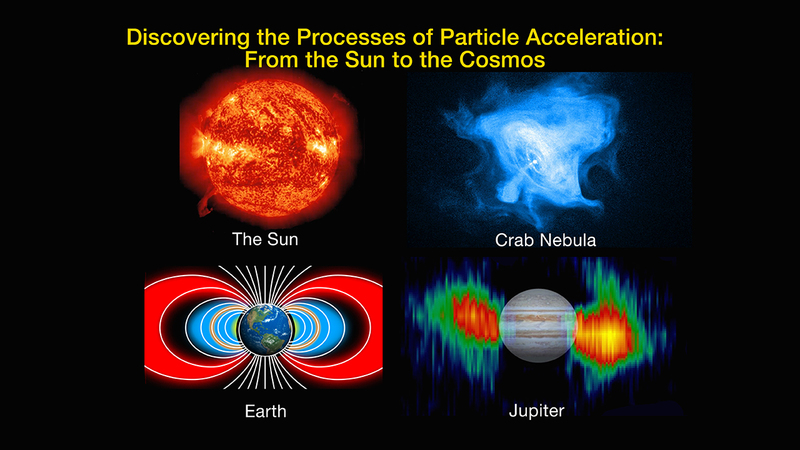 Baker likes to compare the radiation belts to the particle storage rings in a particle physics accelerator. In accelerators, magnetic fields are used to hold the particles orbiting in a circle, while energy waves are used to buffet the particles up to ever faster speeds. In such accelerators, everything must be carefully tuned to the size and shape of that ring, and the characteristics of those particles. 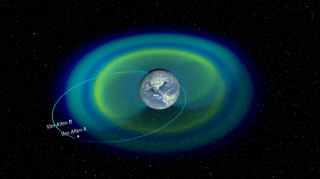 The Van Allen Belts depend on similar fine-tuning. Given that scientists see the rings only in certain places and at certain times, they can narrow down just which particles and waves must be causing that geometry. Every new set of observations helps narrow the field even further. Scientists already have theories about just what kind of waves sweep out particles in the “slot” region between the first two belts. Now they must devise models to find which waves have the right characteristics to sweep out particles in the new slot region as well. 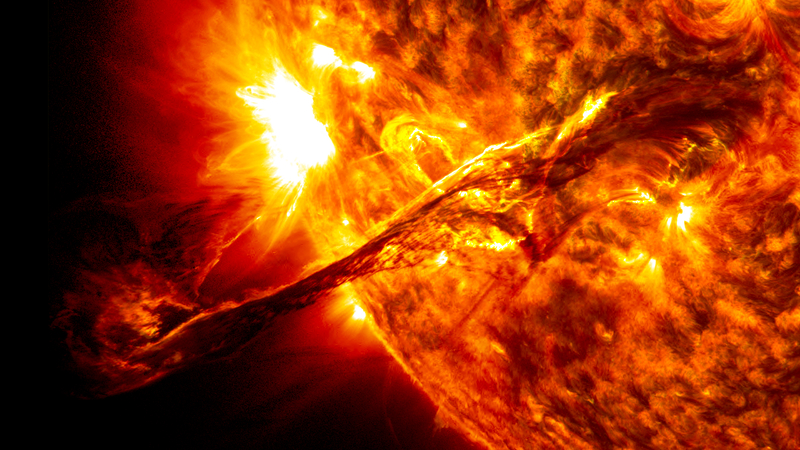 Another tantalizing observation to explore lies in tracking the causes of the slot region back even further: on Aug. 31, 2012, a long filament of solar material that had been hovering in the sun’s atmosphere erupted out into space. Baker says that this might have caused the shock wave that led to the formation of the third ring a few days later. In addition, the new belt was virtually annihilated four weeks after it appeared by another powerful interplanetary shock wave from the sun. Being able to watch such an event in action provides even more material for theories about the Van Allen belts. 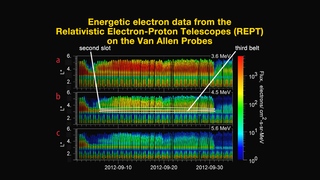 Despite the 55 years since the radiation belts were first discovered, there is much left to investigate and explain, and within just a few days of launch the Van Allen Probes showed that the belts are still capable of surprises. The Johns Hopkins University Applied Physics Laboratory (APL) built and operates the twin Van Allen Probes. The Van Allen Probes comprise the second mission in NASA’s Living With a Star (LWS) program to explore aspects of the connected sun-Earth system that directly affect life and society. The program is managed by NASA Goddard. 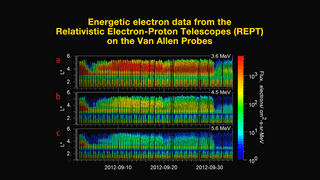 A playlist of 4 Video’s on the Radiation Belt Storm Probe (RBSP) mission will explore Earth’s Van Allen Radiation Belts. The protons, ions, and electrons in these belts can be hazardous to both spacecraft and astronauts. 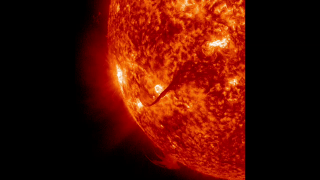 This two part movie shows an Aug. 31 coronal mass ejection (CME) from the sun , the same event that caused depletion and refilling of the radiation belts just after the Relativistic Electron-Proton Telescope (REPT) instruments on the Van Allen Probes were turned on. 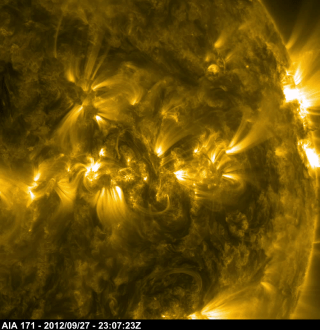 The first movie shows the CME as captured by NASA’s Solar Dynamics Observatory (SDO); the second shows several views of the same CME from the Solar and Heliospheric Observatory (SOHO). 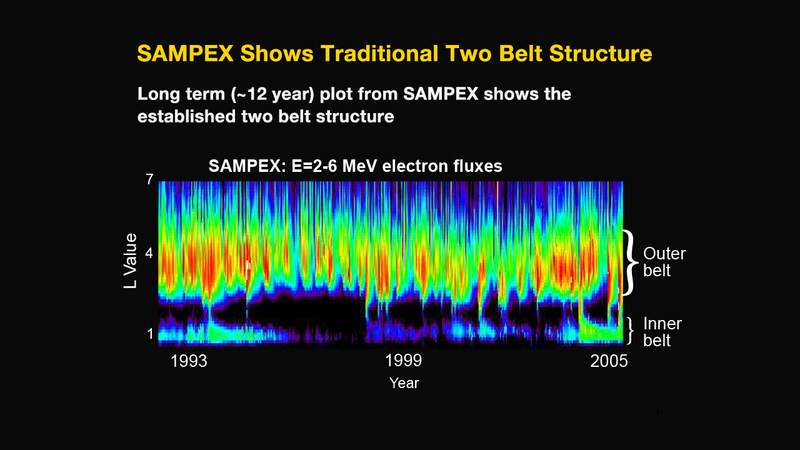 This long-term plot (approximately 12 years) from NASA’s Solar Anomalous and Magnetospheric Particle Explorer (SAMPEX) spacecraft shows the established two-belt structure of the Van Allen radiation belts above the Earth. The L value is distance above the Earth. 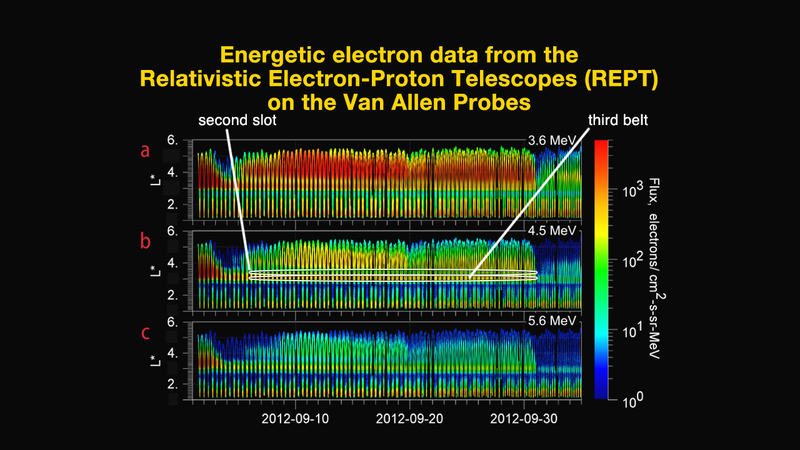 New, more advanced instrumentation on the Van Allen Probes has revealed a third belt. To download the video, click here. 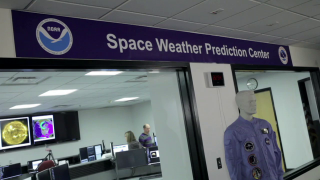 The Forecast Office of NOAA’s Space Weather Prediction Center is the nation’s official source of alerts, warnings, and watches. 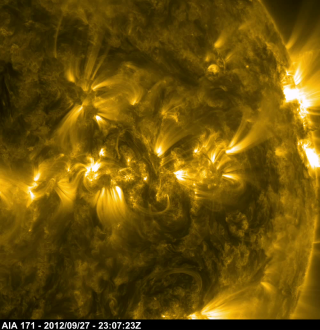 The office, staffed 24/7, is always vigilant for solar activity that can affect critical infrastructure. 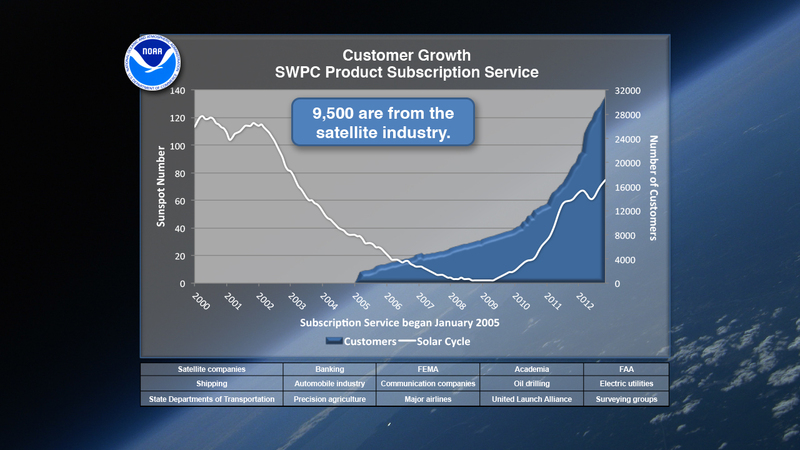 The Space Weather Prediction Center has offered an email subscription service to customers both nationally and internationally since 2005. 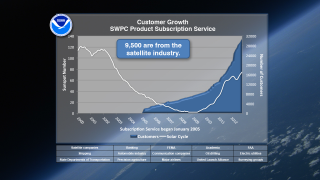 Now numbering over 32,000 subscribers, the satellite community accounts for about 9,500. Credit:NOAA. 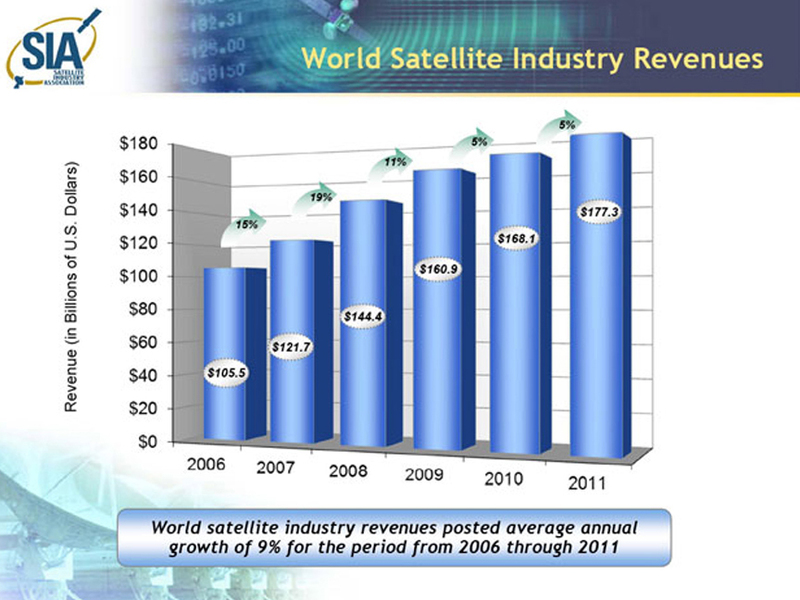 Satellite industry revenues globally have grown at about nine percent on average since 2006. 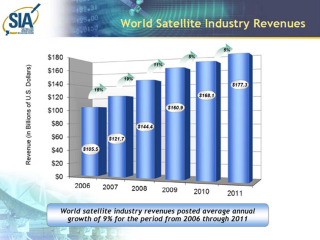 In 2011, the last year for which data are available, the revenue was more than $177B (USD).Credit: Satellite Industry Association. A narrated short video featuring visualizations of the Van Allen Belt’s three ring structure. This video was not part of the news briefing, but is included in the associated feature story. 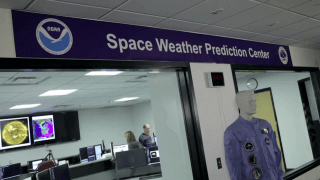 NASA’s Goddard Space Flight Center. However, individual items should be credited as indicated above. 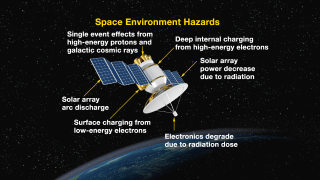 This entry was posted in Astronomy, Galaxy, Images, NASA, Photo, Photography, Solar System and tagged Chorus Emissions, Radiation Belts, Van Allen Probes, Van Allen radiation belt, Video. Bookmark the permalink.